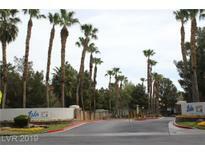 Below you can view all the condos for sale in the Catalina Shores subdivision located in Las Vegas Nevada. 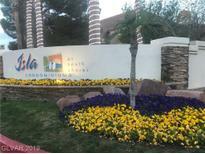 Listings in Catalina Shores are updated daily from data we receive from the Las Vegas multiple listing service. To learn more about any of these condos or to receive custom notifications when a new property is listed for sale in Catalina Shores, give us a call at 702-323-5991. Custom Plank Floors*new Baseboard*custom Two Tone Paint*granite In Kitchen Modern Deepset Stainless Sink Builtin Micro Customized Cabinets And Backsplash*dining Area*front Living Room*nice Master High End Carpet Walk In Closet Covered Patio Master Bath Has Customized Vanity And Granite*community Pool Spa & Lovely Landscape! MLS#2088596. Elite Realty. 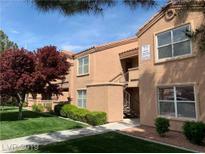 Unit is close to the community pool and club house. MLS#2086792. Renu Management Las Vegas. Great location, with shops, restaurant, etc. MLS#2085737. Realty ONE Group, Inc.
Come home to the lush landscape of Isla and call it your next home. MLS#2085692. Platinum R.E. Professionals. Gated community and rare 2 bedroom, 2 bath. Act now! ! MLS#2082674. Forever Home Realty. Complex features, community pool, spa, playground, greenbelt to walk the dog, BBQ, & is secured with gated entry. MLS#2082239. Keller Williams Realty Las Vegas. Has a very good tenant who's willing to remain in property, good for investors but is also ok to leave, if owner occupier buyer. MLS#2079473. Realty ONE Group, Inc.
Great potential for owner occupied or investor. MLS#2079461. RE/MAX Excellence. Tile and laminate wood flooring, Granite countertops, new dishwasher, and new AC compressor. MLS#2077910. Image Realty Group. PRICED TO MOVE, well below most recent 3 bedroom sale in complex! Please inquire about current lease. MLS#2076173. Desert Sky Realty. Also listed for rent at $1495/month. MLS#2073740. NewMarket Realty Group LLC. I'm ready for you to move in! MLS#2074756. Home Quest Inc. Both great to invest or to own. Priced right to sell, MLS#2072436. Realty ONE Group, Inc.
No HOA rental restrictions. Great investment property. MLS#2067374. Desert Vision Realty. Community Offer Pool, Spa, Fitness Room And Clubhouse. MLS#2064678. Scofield Realty Inc..
Community Offer Pool, Spa, Fitness Room And Clubhouse. MLS#2064677. Scofield Realty Inc.. Lease ends March 30,2019, goes to $900/month. MLS#2060776. Best Management Team LLC. Gated community with clubhouse, community pools and spas. Lease ends November 30,2019. MLS#2059524. NewMarket Realty Group LLC. 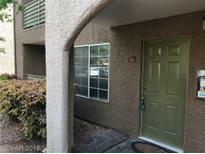 Cute 1 Bedroom, New Paint Job, Very Clean And Ready To Rent MLS#2048519. RE/MAX Excellence. Stunning Master Suite With Lovely Bath With Tub/Shower Combo So You Can Have The Best Of Both Worlds!lease Buyout-30 Day Move-in MLS#2040417. Turn Key Property Solutions. Remodeled, upgraded GE stainless steel appliances, kitchen with breakfast bar and pantry. Take a look MLS#2038230. Urban Nest Realty. Laminate throughout flooring, tile flooring in kitchen and bathroom. MLS#2031714. Key Realty. Walking distance to shopping, bus stop, restaurant and more. MLS#1997047. United Pacific Realty. You Will Absolutely Love This Home! !lease Buyout-30 Day Move-in MLS#1995324. Turn Key Property Solutions. Lovely community with pool, spa and playground! MLS#1959783. Realty ONE Group, Inc.